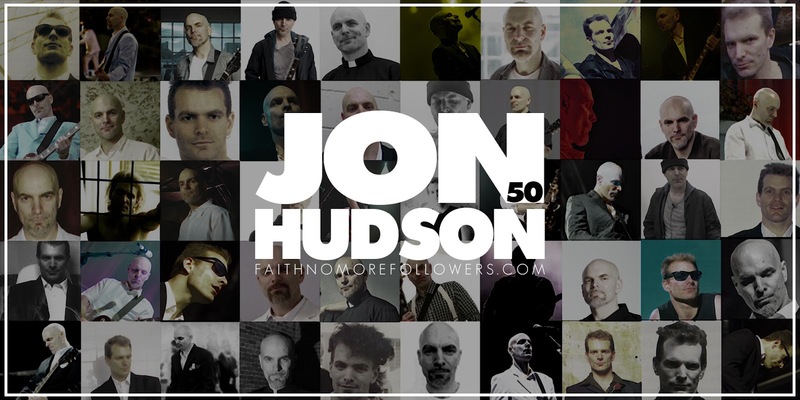 Today Jon Hudson celebrates his 50th birthday! We are chronicling his career as the guitarist with Faith No More. Faith No More have struggled with the position of guitarists from the beginning, their very name is associated with the 'sacking' of Mike Morris back in 1983.Their second guitarist Mark Bowen only lasted a year, then FNM settled on their most recognisable player Jim Martin. 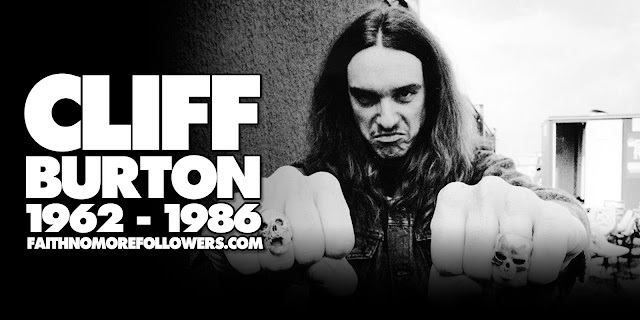 Jim was with the band for 10 years and 4 albums, but of course due to Jim not accepting the band's ever changing musical direction and his 'big' personality, the sick and ugly axe man departed from their ranks in late 1993. 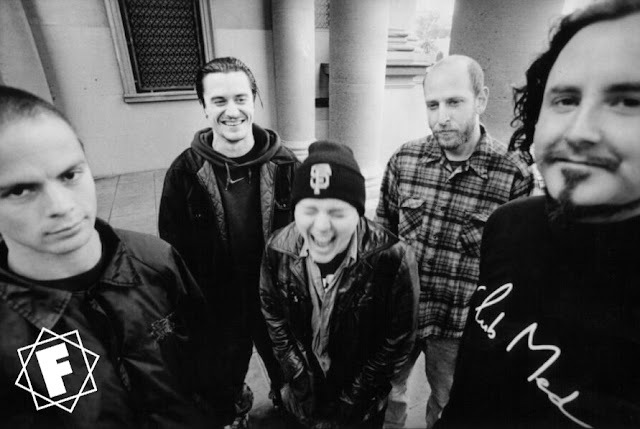 In 1994 FNM turned to Mike Patton's Mr. Bungle band mate Trey Spruance to write and record guitar for King For A Day Fool For A Lifetime. Most fans agreed it was a perfect solution, however Trey felt like a hired gun and didn't relish the idea of touring. Enter Dean Menta who was Roddy Bottum's keyboard roadie. Dean toured the album and recorded bunch of covers but when it came to writing Album Of The Year there was no creative spark. Jon David Hudson was born on April 13th 1968 in San Francisco. Jon was in Oakland-based new wave band Systems Collapse during the early 90's with Humberto Ribeiro (Bass), Cid Travaglia (Drums) and Will Carpmill (synth). Carpmill's sister Olga Gerrard was at one time Faith No More's manager and it was through Carpmill that Jon first met FNM in 1989. In 1993 Bill Gould produced a Systems Collapse demo. A year later Bill sent Jon the King For A Day Fool For A Lifetime demos and Jon recorded some ideas. The band of course opted to work with Spruance. Jon landed a job as head guitar tech for Monster Magnet through Olga Gerrard who was their tour manager at the time. However in 1996 when FNM were again in need of a guitarist Bill approached Jon for a second time. There was no audition and Jon started to work with Bill straight away. 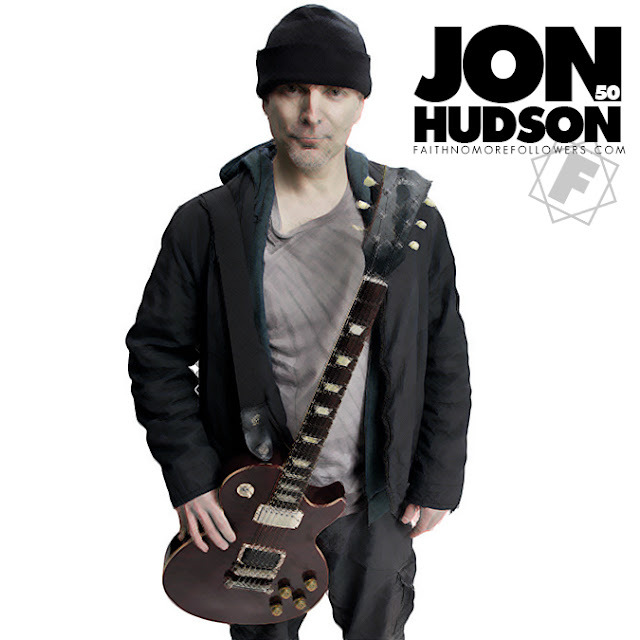 Jon contributed a lot of ideas that made it onto Album Of The Year, including Stripsearch and Ashes To Ashes. Jon fitted perfectly into the mold the band wanted. Jon had no hang ups about his predecessor's guitar parts. "Live, I play what’s on the records and capture those tones. I don’t feel like it’s important for me to put my stamp on any of the songs, even the ones I worked on. I just play to serve the material." "I've always liked the guitar parts on the other records - I've admired those records and their playing. I've never had any need to do it differently to the way it was recorded. I'm a fan of both of those guys, which is lucky because I'm playing their stuff all night! However he did write songs with Bill for a project that never saw fruition. 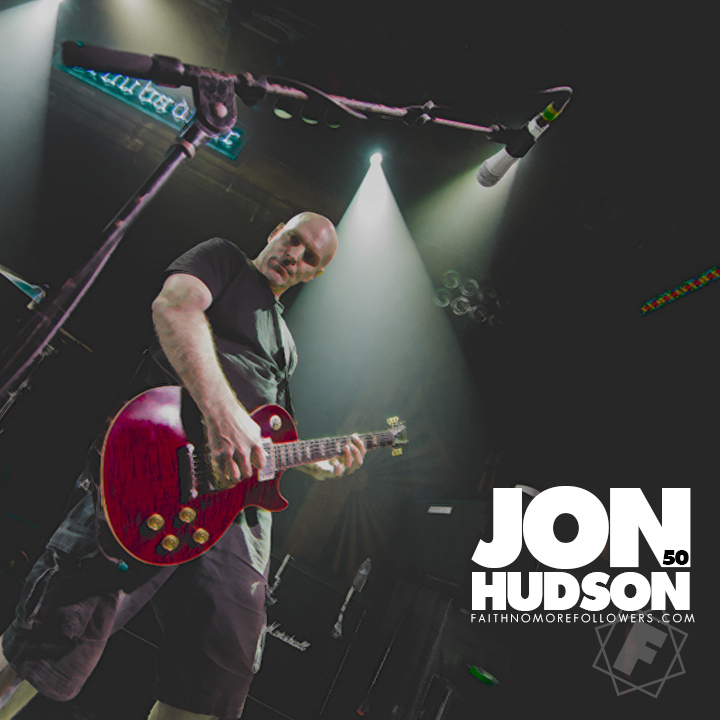 In 2008 Jon received the news that FNM would be reforming and his guitar services were required. After 6 years touring the old material FNM released their seventh studio album Sol Invictus, the second to feature Jon. "Writing and recording wasn't up for discussion during the reunion tour; we simply went out and played the existing material for several years, and we had no intention of doing anything else at that point. Although I don't think anyone else in the band had said, 'Well, we're never gonna make another record or write another song.'" “Three years ago or thereabouts, Bill [Gould, bassist/producer] started throwing around some ideas, and we took one idea and arranged it really quickly and played it live [Matador], and that was a good way for us to get back into it again. At that point, it was still 'wait and see'. We decided that we were pleased with the way that turned out, so some more material started getting sent back and forth several months later. Jon is Faith No More's longest serving guitar player, he fits in perfectly with their style and attitude. In 2016 he told revealed to us that he is working on new material......let's hope we hear it soon!